Here are a few of the summary differences I've found in the last week (and please bear in mind I wore the Gear Fit for 2 years before replacing it). The sleep function on the Gear Fit is much better than the Apple Watch - you have to get a 3rd party app for the Watch which I found annoying. It's built into the Gear Fit, mutes and blocks the device and gives you some nice reporting via the Samsung Health app. Also, access to the sleep function I found is better - put the Fit into sleep mode and it's ready to track your sleep, then give you a report in the morning when you turn it off. The Apple Watch - using the AutoSleep app, alleges that it can work out when you go to sleep and then when you get up via some sort of magic I assume. I'm still trying to figure out the meaning of the sleep reporting (which is irritating in and of itself). The Watch hasn't locked up yet but the Gear Fit has twice in the last week. This is a full reboot, and lose all of your sleep data - something that happens with semi frequency on the Fit and is quite annoying. Notifications are roughly the same through both - configurable and fairly useful. The ability to send detailed replies with the "Scribe" function (you use your finger to write each letter) on the Apple Watch is pretty neat - I've used that several times. Both watches can answer the phone, or more likely - divert to message or voicemail. The Apple Watch you can actually talk into the watch and I've been on the receiving end of that a couple of times. It wasn't bad really, but I think you'd feel like a dill talking into your watch like Get Smart rather than use the phone. the summary from the Samsung Fitness software is much better than what Apple Health provides (at least for me). I find the sleep data and the way its presented to be significantly better than the Apple information. The Samsung software tells you how often you got to bed on time, and how often you got up on time. I like that. It provides a small sense of accomplishment just for getting my lazy backside out of bed in time. As a bit of an update to this review - it's been an extra week of using the Apple Watch and I'm still unimpressed by the sleep thing. I have set aside some time to look into this in greater depth because I feel it's so lacking. Keep an eye here for some more info. The alarm feature on the Apple Watch has been pretty good. The vibration on the wrist isn't startling to wake up to, and it doesn't disturb my wife (which she is happy about). In summary both of them are really quite good devices. They lock you into their respective ecosystems (Samsung vs Apple) and this is to be expected, potentially not loved though. For purpose, I think the Gear Fit was better for tracking sleep, better battery life and a robust device. The Apple Watch's aesthetics are lovely, it has a tonne of functionality and I've barely scratched the surface of it. I'll go into it more as I play with this thing a bit. 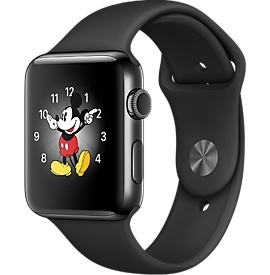 It's easy to see where the extra value in the Apple Watch is.